Agilix gets it’s native standards sets from the Achievement Standards Network (ASN). Echo is updated every 2 months (6 times a year) based on ASN’s data. It is not clear how frequently ASN standards get updated. Any errors in the state standards, Common Core, or NGSS originate at their source. Schools that wish to add their own standards to their Echo Domain can do so. The work required involves organizing the categories with the objectives into a spreadsheet. Open the attached template (located at the bottom of the article). The column headers are the required fields. ID - enter the code/numbering for the objectives under the Main Category. In this case ".a, .b, .c etc" were used. But you can use any system that you like. Subject - enter the Category Title for the Main Category for the parent and all the Objective under it. 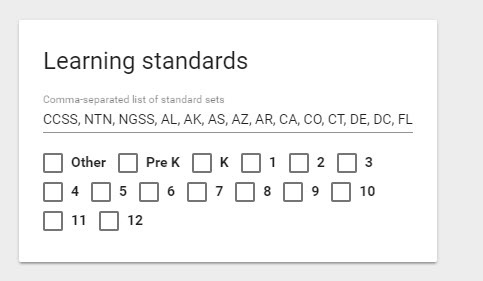 NOTE: All Standard sets are organized differently. You will need to determine the best way to organize them for your particular set of standards. 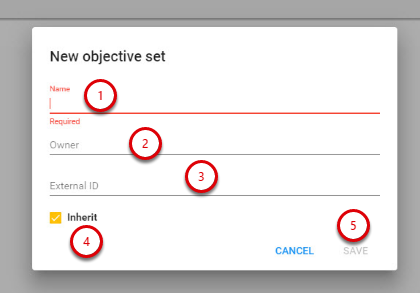 Each category or objective needs its own unique identifier. Use an Online GUID generator to get these numbers. 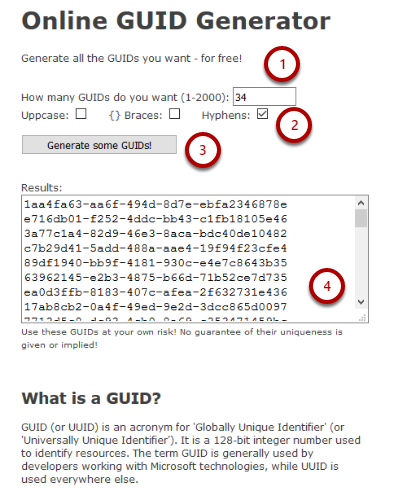 Click on Generate some GUIDs! SAVE as a .csv file. Browse to your file and then click on Import. There are no limits to the number of Objective Sets that can be added. 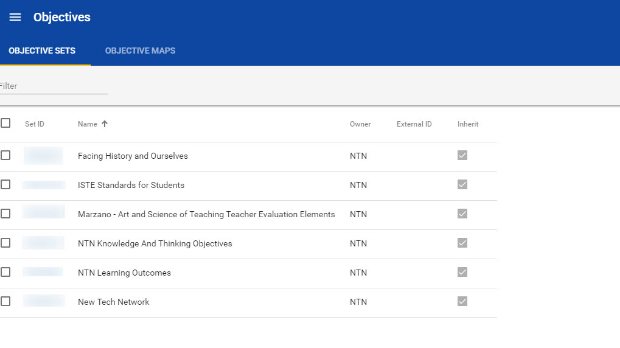 After importing the standard file, edit the domain settings and add the new Learning Standard.